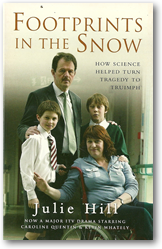 Julie’s story is the unique culmination of thirty years of pioneering British research started by an eccentric Cambridge professor, Giles Brindley. Held together with little more than sticky tape and hope, the implant’s predecessors were Heath Robinson creations born out of DIY technology. Now, after acting as a guinea pig for five years and with the devotion and expertise of the bio-medical engineers, surgeons, nursing staff and electronic experts who have made it all possible, Julie can- at the press of a button – stand, step and even go cycling with her children. Furthermore, the research into Julie’s nervous system has uncovered remarkable scientific discoveries that require the medical textbooks to be rewritten. 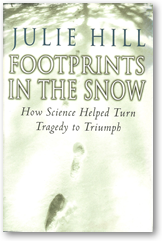 Having overcome pain, frustration and emotional anguish to make medical history, Julie Hill recounts the tale of how she stood on her own two feet once more, and fulfilled her simple dream of once again creating footprints in the snow. 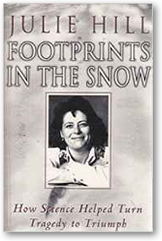 Turned into a drama premiere for ITV, starring Caroline Quentin and Kevin Whateley, Footprints in the Snow has become an enduring bestseller. There is a lot that I can remember about that night. Unfortunately. Like the sensation of flying through the night sky, seconds after losing control, my legs and arms flailing weightlessly. 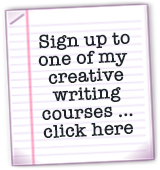 The car from which I had been flung in that split second of destiny was twirling and spinning likewise in the air behind me, its headlamps flashing crazily around the sky like searchlights, after we had both hurtled headlong up a steep bank and lunged onwards through the hedgerow and into space.